That’s President Donald Trump’s advice to former National Security Adviser Mike Flynn as Congressional investigators and the Justice Department dig into whether the Trump campaign colluded with alleged Russian hackers during the 2016 election. 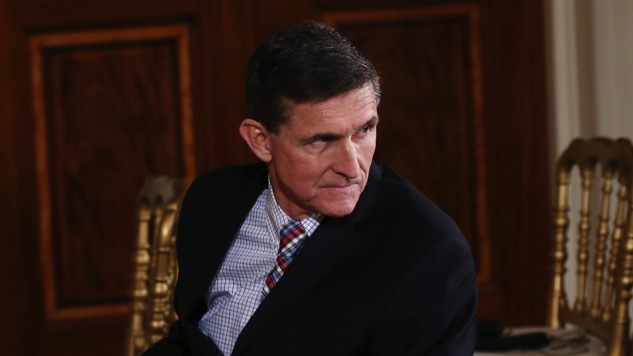 Last month, Flynn resigned from his position after reports surfaced that he had lied to Vice President Mike Pence about conversations he had had with Russian Ambassador Sergey Kislyak. And then Flynn effectively went silent. Kelner’s statement reignites the Flynn story at a time when the House Investigation into Russian collusion is stalling and the Senate’s work is just beginning, none of which is great news for the Trump administration. ... Nor is Flynn’s request for immunity. That such requests contradict previous statements by President Trump and Mike Flynn about immunity can be filed under convenient changes of opinion. But major players within the party criticizing a request for immunity by Mike Flynn is tougher to slough off. On Friday, House Oversight Committee Chairman Jason Chaffetz told Fox News that Flynn’s request “doesn’t look good” and that Trump shouldn’t be weighing in on the matter at this point in time. And of course, even if Flynn’s request for immunity is actually honored, that’s not necessarily good for the Trump administration. Unless the executive branch stipulates that certain conversations are privileged and should be kept private, Flynn would be free to talk about what the hell happened with Turkey and what specifically was discussed with Russian Ambassador Kislyak.